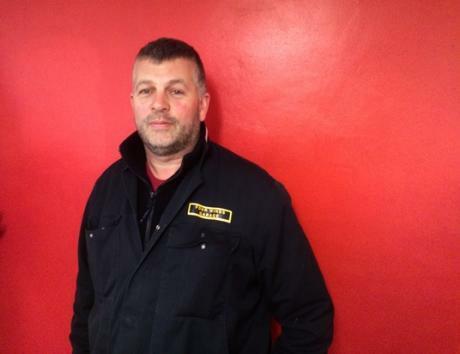 The current owner, Michael Greenaway, has been running the business for fifteen years and has a lifetime of experience working on all makes and models of cars. All our technicians are City and Guilds qualified and we have all the latest equipment to interface with modern vehicles. To check out a full list of our services, see our 'Services' page. "We pride ourselves on honest advice and high quality workmanship, being one of the few local garages able to offer a complete range of automotive services, and you'll still find all our prices competitive"
"So if it's an engine that needs changing, or just a lightbulb, we're always happy to help at Four Winds Garage. We work on all makes and models of cars, from old Minis to Maseratis, have a look at our services and prices and see if we can't help"
There’s no job too big or small, and we can normally accommodate any work within a few days of booking. As no two cars are the same, we do our servicing and repairs to quote, using manufacturer job times and service schedules, so you know you're getting the right service at the right price. Moreover, if required we will collect and deliver your vehicle in the Wallingford area and throughout Oxfordshire. MOTS We are a fully operational MOT station and off MOT's monday to Saturday. and we can normally accomodate same day bookings. DIAGNOSTICS We have Diagnostic tools which cover the vast majourity of modern vehicles, and we can perform a large variety of vehicle functions including (but not limited to) code-reading, Live data reviews, service resets and special functions such as dpf regenerations. SERVICING We offer bespoke servicing options for all makes and models of cars. As no two vehicles are the same, our Servicing prices are done to quote. If you would like a quote on a service, please give us a call or fill out a contact sheet . COLLECTION/ DELIVERY We collect and drop off all local vehicles for free! BODYWORK Our bodyshop has an excellent reputation for quality and affordability. We have a fully equppied oven and paint shop and are able to quote for and repair vehicles for insurance purposes. For a look at some of our work, see our bodywork page. REPAIRS Our technicians are city and guild qualified and have decades of experiance repairing all kinds of vehicles. We can supply repair parts on the same day, we have all the equpiment neccessary to for welding and to fabricate repair parts. TYRES AND EXHAUSTS We stock a range of tyres and can get same day parts for all vehicles at very compteitive rates. Please contact us for all prices on Tyres and exhausts. HEALTH CHECKS Whether its a winter safety check or a quick code read, at Four Winds we can provide a fast but in depth service with regards to general vehicle health. We're also happy to show customers how to better keep an eye on things themselves. WHERE ARE WE? Despite the lovely countryside veiws of our garage, we're very close to Oxford and the M40.